Park hours vary - please see park calendar on our website. 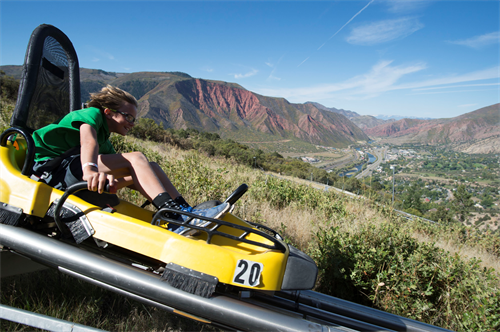 We invite you to visit Glenwood Caverns Adventure Park, located in historic Glenwood Springs, Colorado. 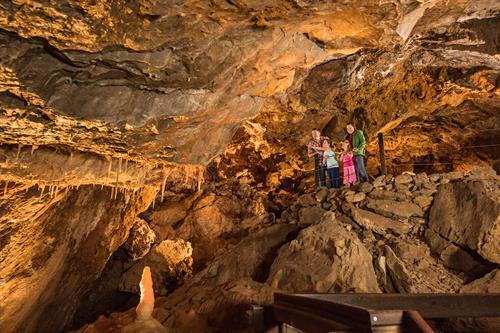 Take (2) walking cave tours, or an “on-your-belly” crawling cave tour, to view the stunning formations within Glenwood Caverns and Historic Fairy Caves, recognized as one of the leading family cave tours in the country. Ride the first Alpine Coaster in the U.S., which has individual cars that race through the trees, on coaster rails, down the mountainside. USA Today ranked this coaster in the Top Ten Coasters in the US! You will also want to try Laser Tag, 4-D Motion Theatre and the Soaring Eagle Zip Ride. During the summers, all of our rides are open including the Giant Canyon Swing, (which was featured on “Good Morning America” as well as on the Travel Channel show, “Bert the Conqueror”). 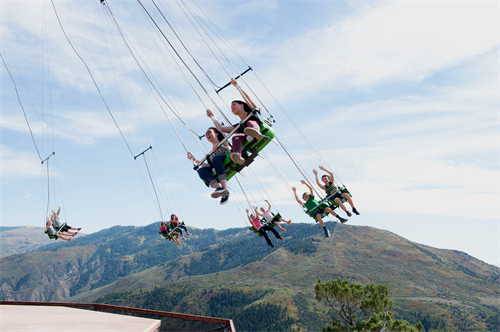 Look down 1,300 feet as you swing out over Glenwood Canyon on The Canyon Flyer. 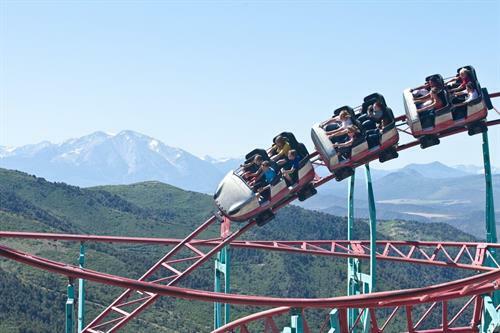 The Cliffhanger Coaster, which has been reviewed as the highest coaster in the US offers fun curves and drops. Enjoy breathtaking views of the Rocky Mountains from the Iron Mountain Tramway. Also, try the sluice box gemstone mining, Fort Where-Am-I maze, the Mine Wheel (a Ferris-wheel-style ride), the GiddyUp, and the family friendly, Wild West Express Coaster. Come and enjoy a refreshing meal at the Look-Out Grille with unbeatable views as well! Group discounts and events available.